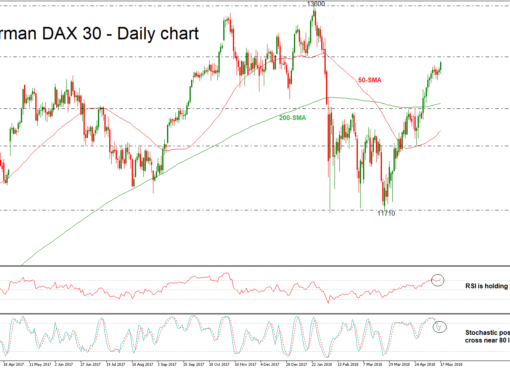 DAX 30 stock index (GER 30) en route to third weekly gain. 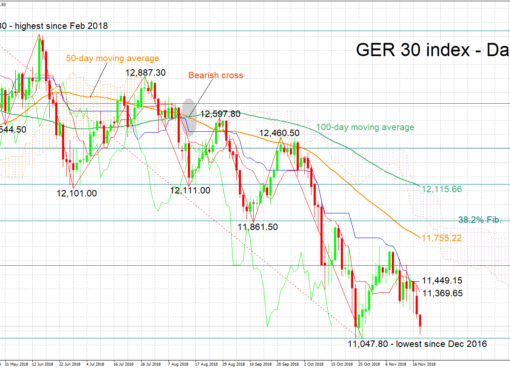 The DAX 30 has been on the rise since the day it dropped to a two-year low of 10,276 and is now set to register its third weekly gain slightly above the 20-day simple moving average. 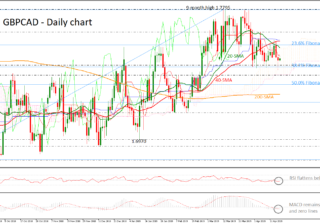 The short-term bias looks currently neutral to bullish as the RSI moves along the 50 level and the MACD keeps strengthening above its red signal line and towards zero. 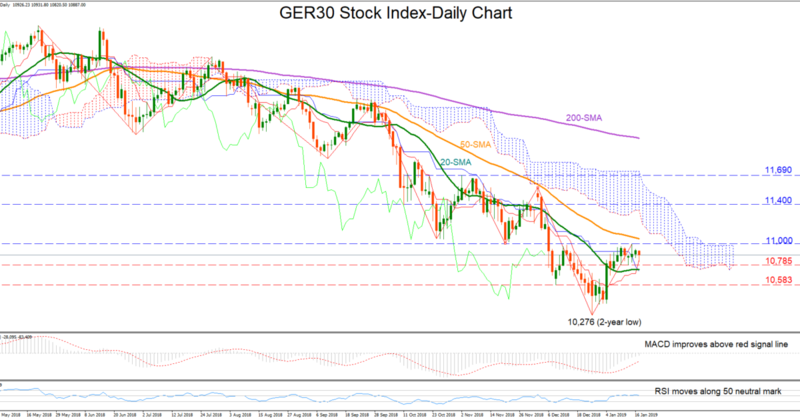 The German 30 stock index (DAX 30) has been on the rise since the day it dropped to a two-year low of 10,276 and is now set to register its third weekly gain slightly above the 20-day simple moving average. The short-term bias looks currently neutral to bullish as the RSI moves along the 50 level and the MACD keeps strengthening above its red signal line and towards zero. On the upside, the bulls could push to break the 11,000 support-turned-resistance level which they failed to overcome earlier this week, while higher and above the 50-day MA, the index could test the 11,400 level, identified by the lows on October 11. 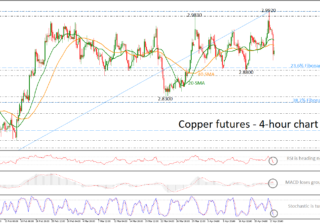 Yet buying orders could only significantly increase if the market manages to surpass the 11,690 level, violating the previous high of the eight-month-old downtrend. 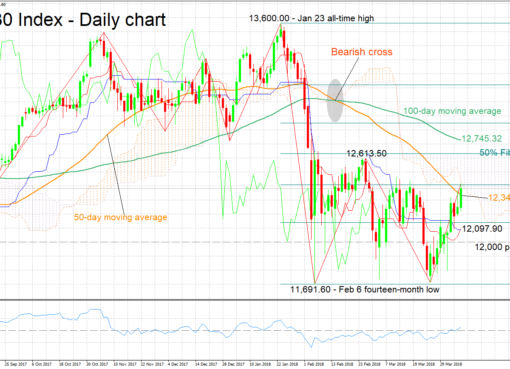 Should the index reverse south, immediate support could be found around 10,785 where the price paused recently. Under that obstacle, the trough on December 10 at 10,583 may attract attention before all eyes turn to the 10,276 level. Any step below the latter could trigger steeper declines, opening the way towards 10,000.